Supply your cafe, bistro, or deli with the farm fresh taste of this Farmer Rudolph's 8 oz. smoked gouda. 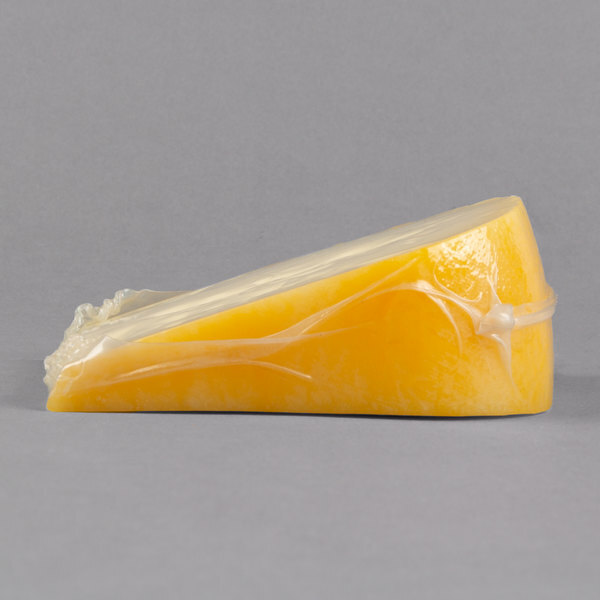 This Dutch-style smoked gouda cheese has been aged for 3-6 months and smoked over hardwood, resulting in a mellow, smoky and slightly sweet flavor with a semi soft consistency. Great for melting, use this cheese to artfully craft mouthwatering sandwiches, like a ham and smoked gouda grilled cheese sandwich, or a delicious smoked gouda and bacon mac and cheese. Or, use this cheese to build a five-star charcuterie board along with grilled french bread or butter crackers, roasted almonds, as well as a variety of fruit and chocolates. 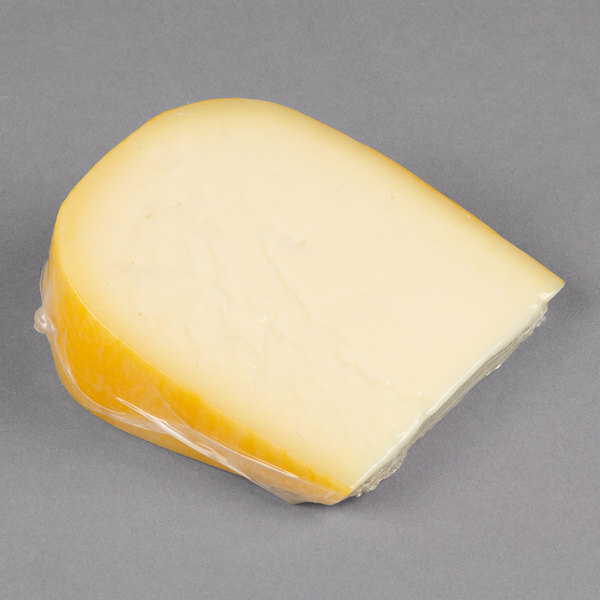 To complement and harmonize the flavors, this smoked gouda is best paired with beer, or a sweet or dry riesling. Farmer Rudolph's cheese-making equipment and techniques are Dutch-style, which results in a farmstead, artisanal cheese of exceptional quality and flavor. This gouda cheese is made with 100% natural ingredients, including rBST free milk, and is handcrafted rather than mass produced to ensure a noticeably fresh taste. 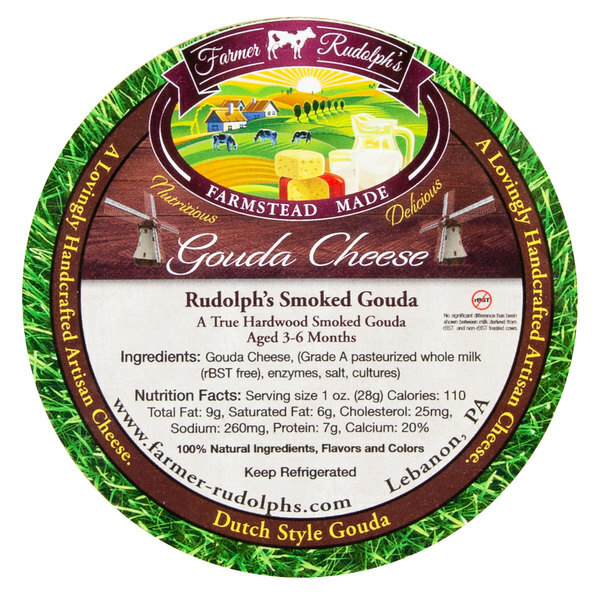 Provide your guests with high quality, fresh foods like this Farmer Rudolph's smoked gouda cheese! This smokey gouda is really delicious. It's really delicious with a tangy flavor, and the smoke comes in without overpowering the whole thing. WE like it!